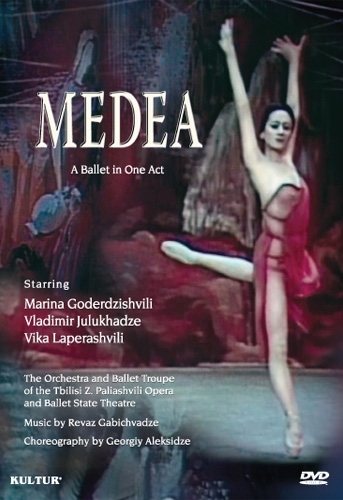 Filmed in the Soviet Union and never seen before by Western audiences, this extraordinary one-act ballet, Medea, freely interprets the classic drama of Euripides. Through music and dance it reveals the ancient story of a powerful woman's revenge upon her faithless husband and the younger rival who has stolen him away from her. Written and directed by Georgiy Aleksidze and Elgudja Zhgenti and with a score by Revaz Gabichvadze, Medea is an important discovery that should be in every dance library.